Viribus Unitis Uma Videl "Haru"
Ryuu Akai Go Haru Kaze "Ryuu"
Haru's three puppies were born at July 24, 2013. There are one red male and two red females. Haru and the puppies are fine. I took Haru with me on a plain to meet Ryuu. And it was worth it! Thank you Jitka and Ralf so much for everything!!! I wanted to have a dark red male with healthy hips and structure for Haru. And because I had met Ryuu before, I thought he is the one for Haru also. And I'm so happy for the gorgeous puppies we now have. 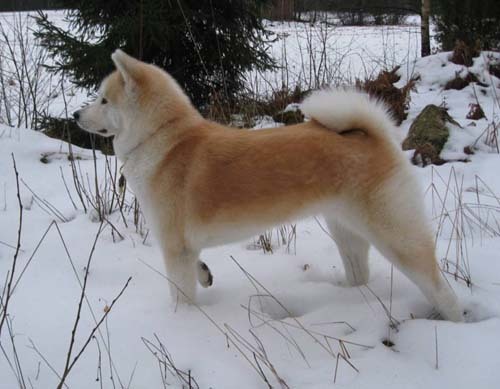 The father of the litter is Ryuu, extremely dark red 4 years old boy. Ryuu don't have any extra white markings anywhere and his red color continues long down to his paws. Ryuu has great structure, very nice angulations and movements. He has beautiful strong and round expression. 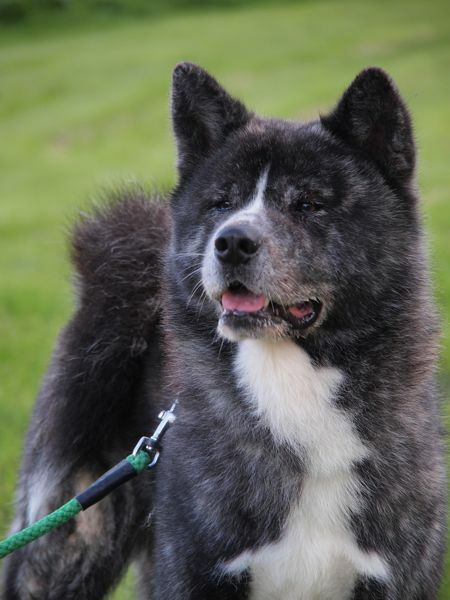 Ryuu is playfull male who lives together with his father Daimon. 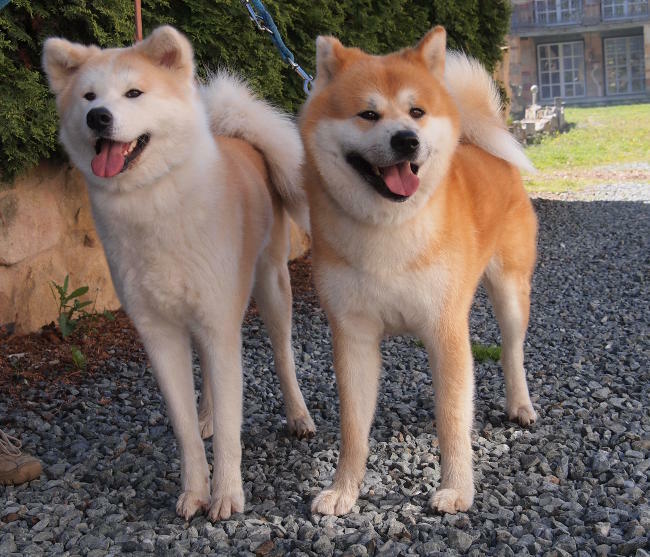 Ryuu has two litters before, first in Germany and the other is my Umare-litter. All the offspring are still very young. 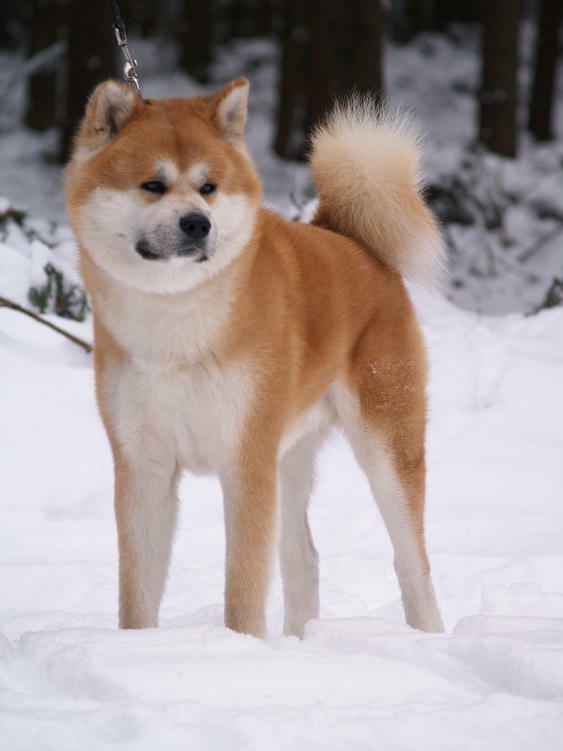 Ryuu's father Daimon is gained so much from shows, he is one of the first Japanese type Akitas at Czech and one of the most winning Akita at the same time. Daimon is still alive, and he is now 11 years old. 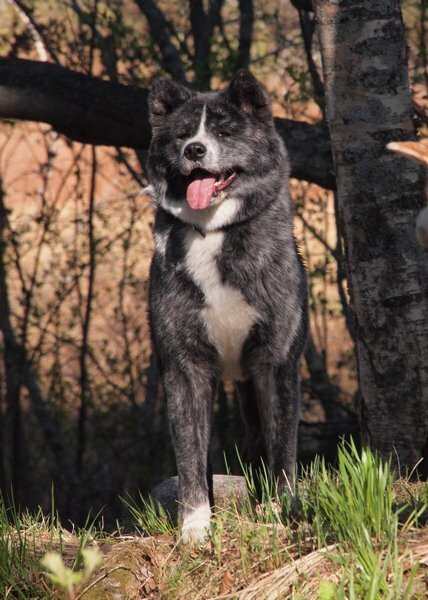 Ryuu is from his mother's last litter, she was then 8,5 years old. 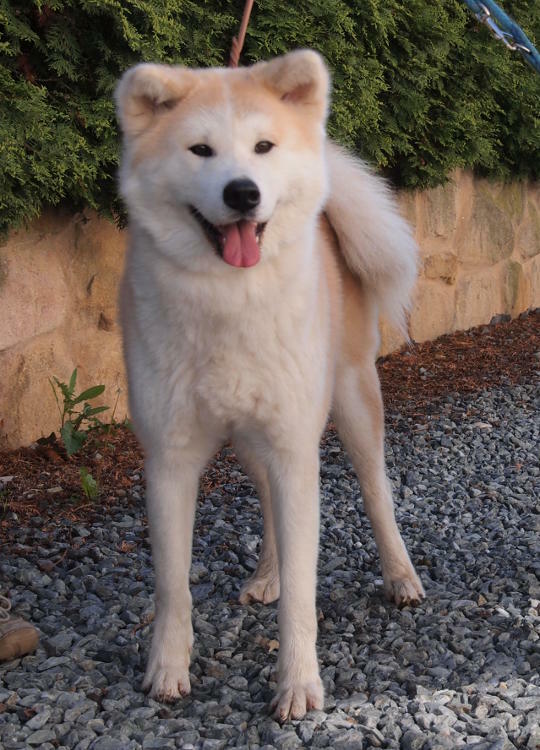 Haru is beautiful female with big, fluffy tail and her size is above the avarage. She has been healthy, although she had an infection in the intestines at Spring. But now she has been healthy. 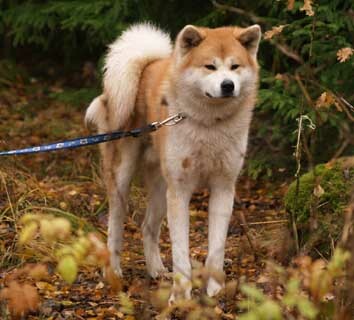 Haru lives with two dogs, boys Caius and Ivik. Haru and her siblings have been healthy, so has been Haru's parents Sissi and Marski. Sissi's brother has died because of UDS at summer 2013. 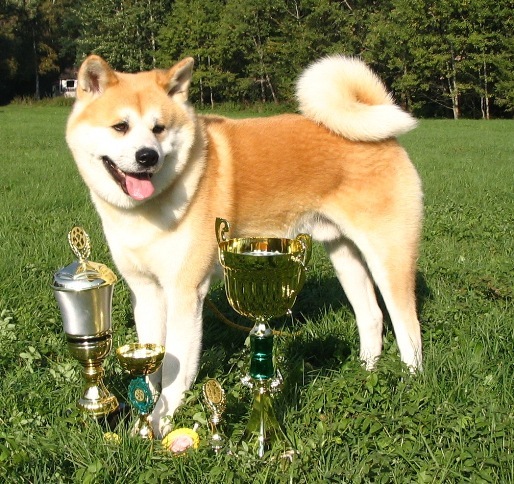 At summer 2013 I heard that Marski's daughter from other breeder has SA. Ryuu's mother Masahime has a son with SA and the father is Ryuu's granfather Geenji. Ryuu's father Daimon is already 11 years old and still alive. Masahime has died at the age of 9, because of a cancer. Puppies are raised with Haru's own family. Thank you Paivi and Tommi for taking such a good care of the puppies. Cheko litter is my VU-line's fifth generation.